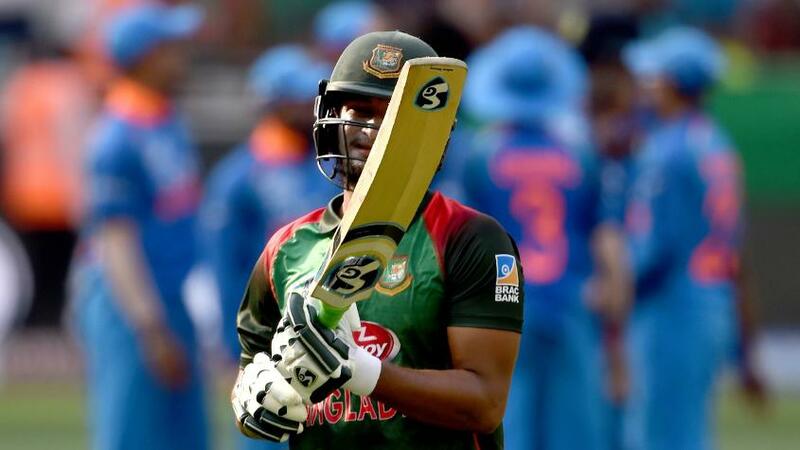 Shakib Al Hasan, the Bangladesh all-rounder, has been ruled out of the one-day international series against New Zealand after fracturing in his left finger. The 31-year-old was hit on his left ring finger while batting against Thisara Perera in the final of Bangladesh Premier League 2019 on Friday, 8 February. According to reports in the Bangladesh media, the impact caused a fracture, and Shakib will be side-lined for at least 21 days. That rules him out of the ODIs in New Zealand, which begin on Wednesday in Napier. "An X-ray was done after the match and the results have confirmed a fracture on the left ring finger," Dr Debashis Chowdhury, the BCB's chief physician, was quoted as saying by ESPNCricinfo. "The affected area will now have to be immobilised for around three weeks." The all-rounder was impressive in BPL 2019. He ended the tournament as top wicket-taker with 23 scalps and amassed 301 runs with the bat. His unavailability will be a severe blow for Bangladesh, who have played and lost 10 ODIs to New Zealand on tour.